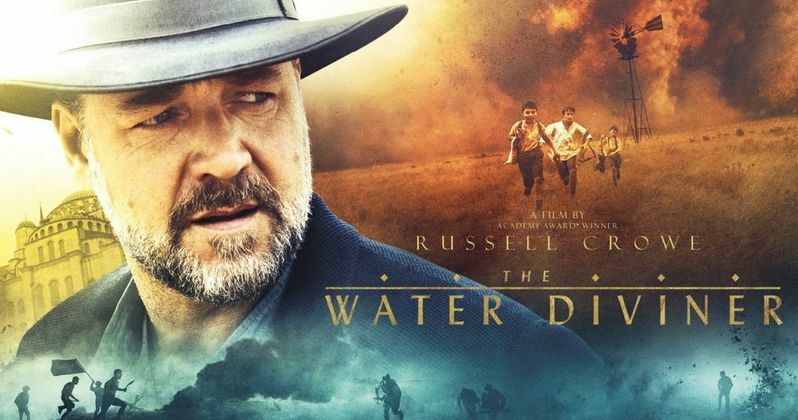 Acclaimed actor Russell Crowe makes his directorial debut with the upcoming drama The Water Diviner, which has just debuted its first international trailer and poster. Russell Crowe stars alongside former Bond girl Olga Kurylenko in an epic adventure set four years after the devastating battle of Gallipoli in Turkey during World War I. Australian farmer Connor travels to Istanbul to discover the fate of his sons, reported missing in the action, where he forges a relationship with the beautiful Turkish woman who owns the hotel in which he stays. Holding on to hope, and with the help of a Turkish Officer, Connor embarks on a journey across the country to find the truth about the fate of his sons. The Water Diviner is an extraordinary tale of love, hope and heroism. The Water Diviner will be co-distributed by Entertainment One Australia and Universal Pictures Australia in Australia and New Zealand. And while the drama will be released in Australian and New Zealand cinemas on December 26, it has yet to secure a U.S. release date. At least we have this look at the movie, which features Russell Crowe battling the forces of water yet again!